Prague, Czech Republic is a wonderful city. It’s full of romance, culture, and diversity. It isn’t as popular among westerners as some of the other major European cities. In fact, most Americans completely miss out on this Eastern European gem, choosing to visit the more iconic cities of Paris, London, and Rome. Still there is no shortage of tourism in this stunning old-world city. In fact, it’s filled with tourists! We visited Prague during a road trip across central and eastern Europe, and this phenomenal city completely stole my heart. There are so many reasons to visit Prague, Czech Republic, but a few stand out above the others. With so many things to do in Prague, it’s easy to become enchanted with the city. We spent three days in Prague and wished we could have stayed much longer, although you can easily see the highlights of Prague in 2 days or so. If staying longer, there are also a few really great towns near Prague that make for fun day trips, like Brno and Cesky Krumlov. Here are my top 5 reasons to visit Prague. Food is such an important part of a place’s culture and the overall experience. From soups and sausages, to the Czech dessert, Trdelnik, Prague’s food scene will entice your taste buds. 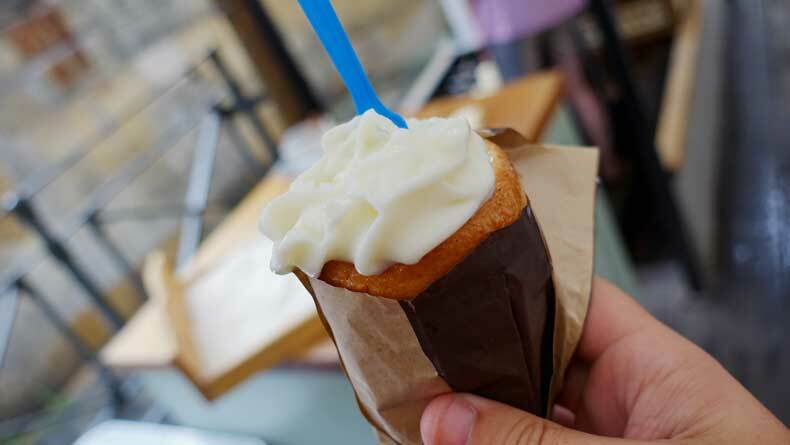 Trdelník, also known as chimney cake is a yummy dough concoction twisted onto a cone shaped rolling pin, covered in sugar, then cooked over a warm oven. It is sometimes dipped in chocolate or filled with ice cream, which adds an extra sweet touch to this heavenly pastry. We ate one every single day while we were in Prague. My only regret when it comes to the food in Czech Republic is not eating more of it. 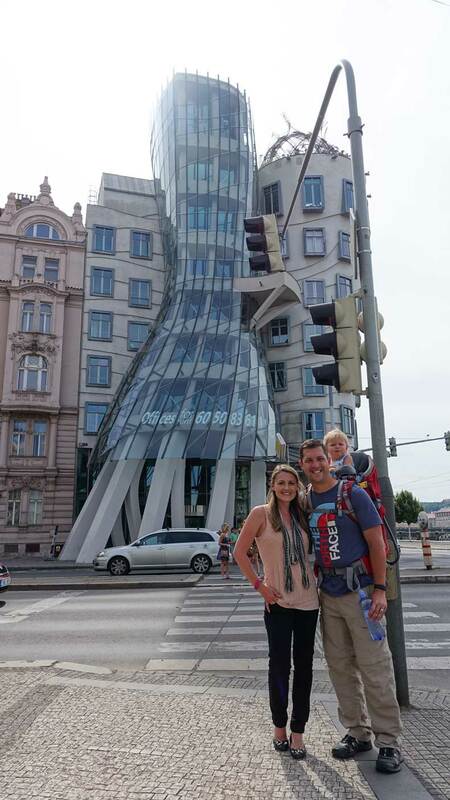 When it comes to cities that truly embrace those traveling with kids, Prague is near the top of my list. The city is full of well-maintained playgrounds and parks. And even some of the breweries had indoor play areas for those visiting with kids. 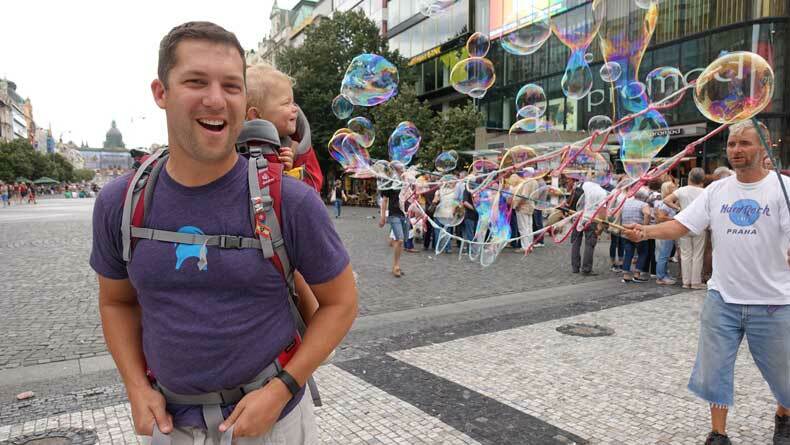 The people of Prague also seem to embrace families traveling with children. At the hotel where we stayed, the hospitality staff in the breakfast room would bring our daughter numerous complimentary treats and snacks each morning. Those came in very handy during long days of sightseeing.Visiting Prague with kids? Check out these awesome tips on planning a city break with little ones in tow. Prague is a mix of old meets new. It’s a city where historic charm collides with modern chic in the most beautiful way. 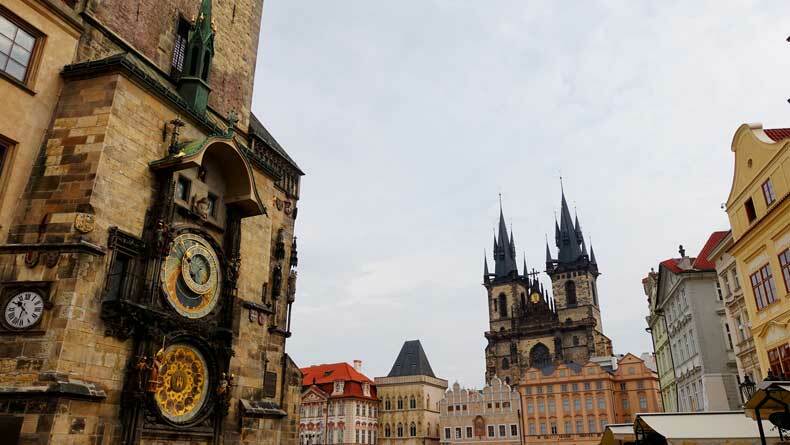 Historical cathedrals and iconic elements like the astrological clock in historical Old Town and the famous Charles Bridge are surrounded by whimsical and modern structures like the dancing building and bizarre, yet incredibly cool statues. Two notable ones are Franz Kafka’s turning head and the statue of two men peeing below, which is suitably named Piss. Everywhere you look you’ll find beautiful architecture and stunning views in Prague. Prague, Czech Republic is a bustling and vibrant city. Though large in size, it has a small town charm. It’s filled with outdoor cafes, hip breweries, lively markets, and cheesy street performers. Prague has so much to offer regardless of your tastes or interests. You can easily find yourself getting caught up in the atmosphere of the city and never wanting to leave. Although we visited Prague as a family, it is easy to see why it is the perfect city for lovers, as well. 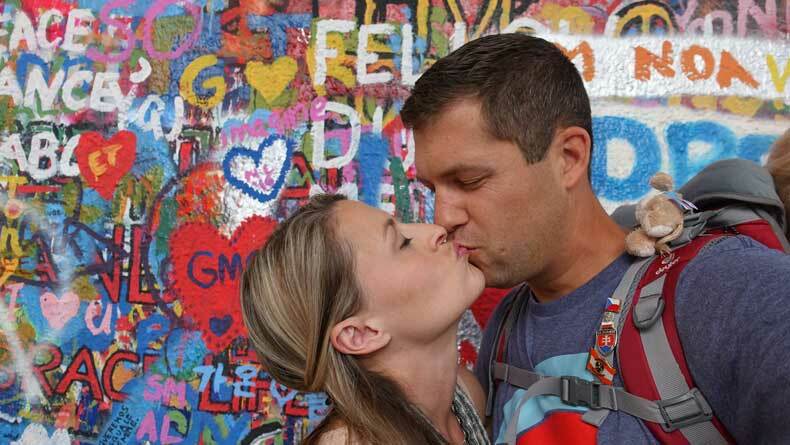 You’ll always find couples stealing a kiss in front of the John Lennon wall. The colorful wall has become a famous landmark and a symbol of hope, love, and peace. Lovers can be seen strolling hand-in-hand at night across the Charles Bridge, or watching the sunset around Prague Castle. Although Paris may claim to be “the city of love”, I would argue Prague gives Paris a run for its money. Besides these top five reasons to visit Prague, there are plenty of other things that will entice you to want to explore the city. From scenic views, to the craft beer scene, and the public art displays, the city has a lot of hidden gems just waiting to be discovered. If it’s history you love, you’ll find museums, historical cemeteries, castles, and cathedrals that you could spend days touring. With so much to love, it still baffles me that more westerners don’t frequent Prague, Czech Republic. This delightful city should be on everyone’s bucket list! Planning your Eastern European itinerary? You might also like this post from Our Escape Clause. Have you visited Prague? 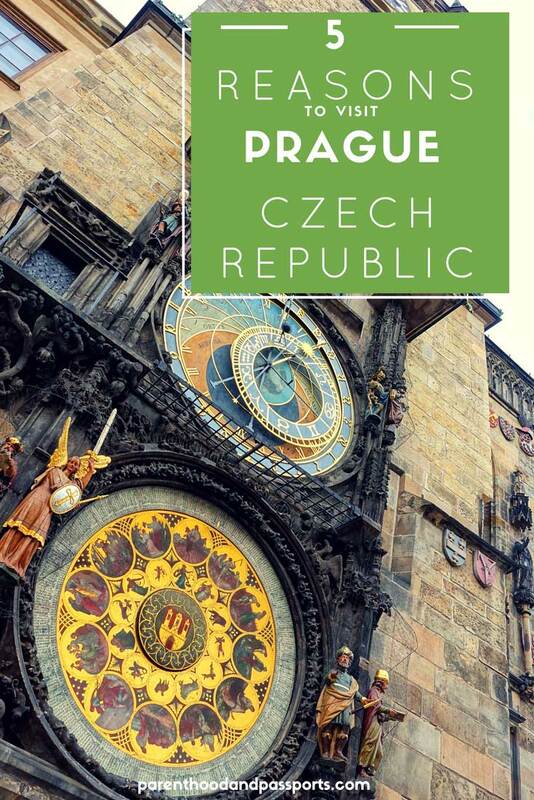 Leave us a comment with your thoughts on the city and your favorite reasons to visit Prague! I was so disappointed that we didn’t have more visitors while living in Prague. It is definitely one of my favorite cities in Europe for tourists. (And great for kids.) Everyone should book a ticket and go ASAP! 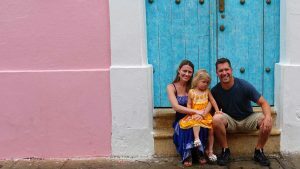 Family friendly is so important when looking for new and exciting places to visit. Looks like you had a great time. The place indeed looks so beautiful with all those tall structures. And the three of you look ever better. I loved your blogpost. I had no idea that Prague was such a neat place! We love cool architecture (that picture of a twisty building is amazing!) and I’m glad to hear that the city is so child-friendly! Great article! A brewery with a playground? That’s awesome for traveling parents! (less so for those of us without kids, haha!) I’ve always wanted to visit Prague, I’m glad to hear it’s not as crowded as some other European cities. I visited Prague back in 97 at the very end of a LONG 6 months in Europe. I dont think I experienced the city to its fullest and would love to go back! I have never been to Prague! I haven’t been to much of Europe actually even though I’m from England so it’s all so close! You’ve got some lovely pictures of the place! I’m definitley tempted to visit soon. Prague stands out as one of the few cities in Europe that emerged from WWII with its medieval old town almost entirely intact ! But there is so much more to see… The picture of a twisty building is amazing ! 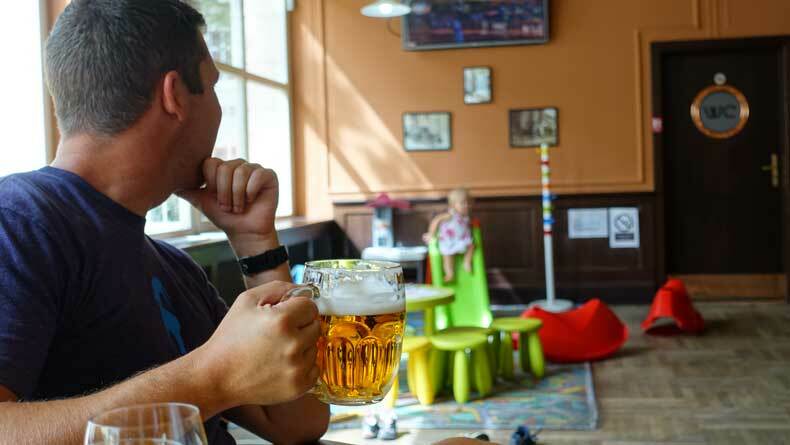 Follow a path of Prague sights with pauses for fresh Czech beer: a brewery with a playground ? That’s awesome for traveling parents ! You catch a glimpse of the real Prague along the way. Thank you for sharing your experience. Prague is one of my favourite cities in the world. I agree that the atmosphere makes it. You should have done an extra tab for Absinthe though! Haha it is so cheap there and I tried some really nice testers made locally. I was not brave enough to try it, although I did see it! Prague definitely stole my heart. Would love to go back. Great city!